have many years of sailing and event management from local National events, Americas Cup, Louis Vuitton Trophy, Volvo Ocean Race and multiple World Championship events. The skill and knowledge of the Team combined with the Takapuna location with accommodation, restaurants offering a variety of cuisine, shopping and other local attractions all within walking distance Takapuna, Auckland is the logical place to hold World Championship events. 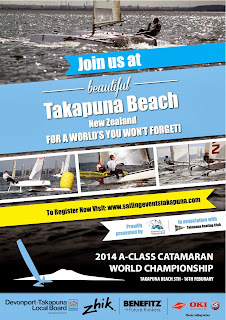 We all look forward to having you come and compete in 2014 and enjoy some “Kiwi” hospitality. 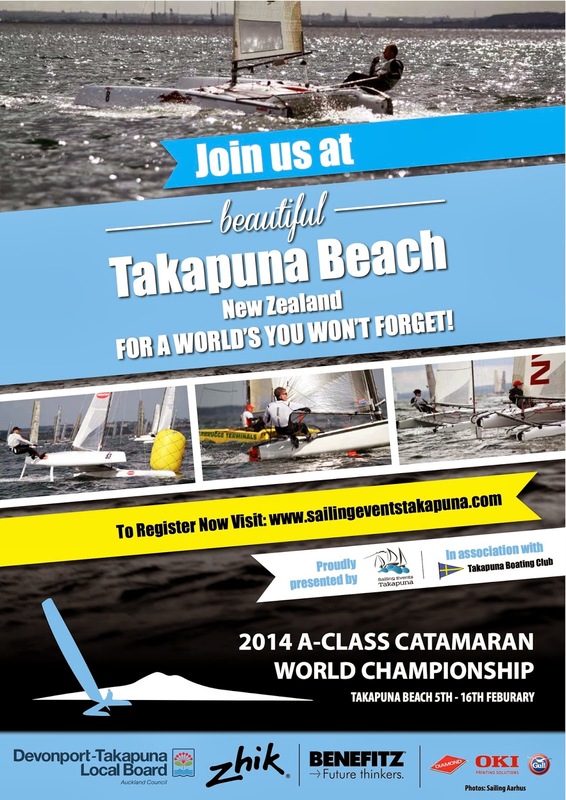 Come to Takapuna and join the FUN. The long stretch of white sand at Takapuna Beach is popular for a range of water activities. Locals and visitors alike flock to the beach to picnic, swim and watch watersports. There’s also a large boat ramp making it a fantastic place to launch boats. Sit back and watch the world sail by with uninterrupted views of the islands at this prime beach spot. The vibrant commercial hub of Takapuna is a great shopping area. Grab your wallet and hit the shops which range from the designer Department Store to indoor malls, boutique stores and factory outlets. There are many excellent cafés and restaurants in the area and also a lively Sunday market.